WOW! Our Lenten Project on March 31 was a resounding success! 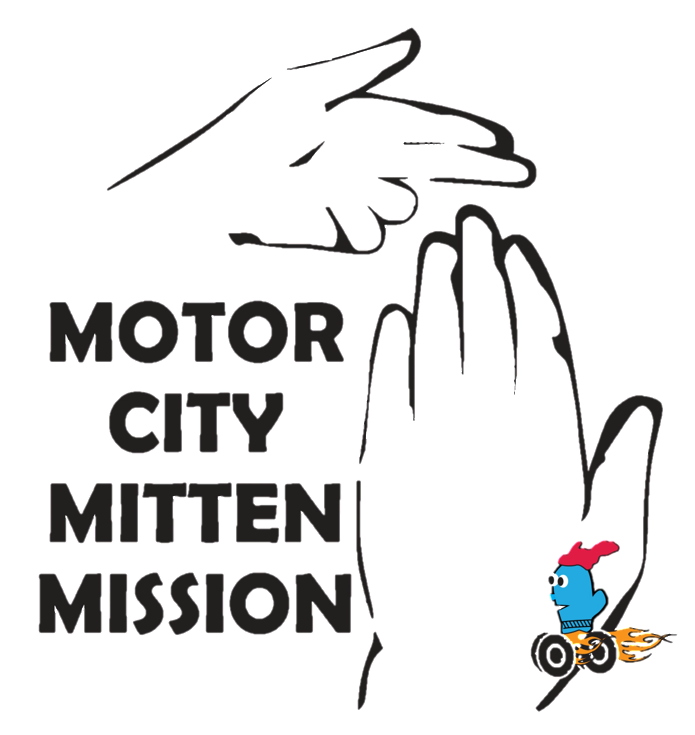 Our original goal was modest: to collect 700 grocery bags and make enough “plarn” (plastic yarn) for one mat-and-pillow set for the Motor City Mitten Mission. We ended up collecting thousands of bags and processing enough of them to make almost three mat-and-pillow sets! All told, our group sent 1,740 bags through all or part of the sorting, folding, cutting, and tying process, producing 7 balls of plarn, 32 packs of squares to be tied and made into plarn balls, and 48 packs of folded bags ready to be cut. Not to mention that nearly everyone attending had never made plarn before. Gail Marlow, founder of MCMM, dropped by to give us some background on the Motor City Mitten Mission and why these mats for the homeless are an important part of its mission. Thank you to everyone who dropped off their plastic grocery bags for the project; the amount we collected was truly astounding. A huge thank you to everyone who participated. Lots of conversation and fellowship (and great music!) fueled us as we sorted, folded, cut, and tied the afternoon away. The building project has begun! Fences have been erected around the area of the parking lot that construction will occupy. As of Tuesday this week (3/26/19) the parking lot door will not be accessible. To enter the building you will need to enter through the Lothrop door. Camp Talahi, located in Howell, Michigan, offers a spiritually enriching environment wherein one grows to a better understanding of God, oneself, and one another. Camp Talahi, formed by a consortium of Michigan UCC members and ministers, provides an “up-north” Christian retreat experience. Overnight summer camping opportunities for children ages 7 to 18 are offered. Campers participate in many different activities; including hiking, canoeing, arts and crafts, the Adventure Course, dance, and drama. As a nonprofit organization, your financial contributions help Camp Talahi to spread the joy of camping to children of all ages and backgrounds. Kids on the Go is a pediatric nonprofit summer program that provides free physical, occupational and speech therapy for children (ages 3 - 12) with medical diagnoses that include down’s syndrome, autism, fragile X syndrome, developmental delays, apraxia, hydrocephalous and cerebral palsy. Kids on the Go has been filling the summertime gap for special needs children from the Grosse Pointes, St. Clair Shores, and Harper Woods at no cost since 1999. Your donation this month will help provide scholarships to allow special needs children to attend a camp that provides physical, academic, and social growth as well as fun. Please consider spreading the gift of summer camp this year. Your donations may be placed in the blue or yellow outreach envelopes with the notation of “summer camp.” Contributions will be split equally between the two camp programs. Welcome to Grosse Pointe Congregational Church. At Grosse Pointe Congregational Church, or GPCC, I greet you in the name of Jesus Christ, our Lord and Savior. Thank you for dropping by via your browser. GPCC is a church on-fire with the power and love of the Holy Spirit. Through God's wondrous love, we are a caring congregation: caring for the spiritual and hunger needs of our members and non-members. We feed spritual hunger pains through music in Sunday worship, and thorugh our art gallery, which changes every 1-2 months. Please visit our Facebook Arts Ministry page for upcoming events and information. Our congregation is part of the United Church of Christ (www.ucc.org) family and we come from all walks of life to center our lives and hearts on God. Each week the services adn sermons encoaurge us to live the Gospel of Jesus Christ as we discern what we believe we hear the Still-Speaking God saying. If you are looking for a church family, we'd love to adopt you as a brother or sister in Christ. We also invite you to listen to our weekly sermons, and if your life is changed or you are inspired by God to give to our ministries, please click here: DONATION.